Young Conaway served as counsel to Greenberg Taurig, LLP in the chapter 11 proceeding of Syntax-Brillian Corporation pending in the United States Bankruptcy Court for the District of Delaware. Young Conway acted as co-counsel with Sidley Austin LLP to Wanxiang America Corporation in the chapter 11 proceeding of Fisker Automotive Holdings, Inc.
HCR ManorCare, Inc. and its non-debtor subsidiaries are a leading national healthcare provider that operate a network of more than 450 locations nationwide providing (a) skilled nursing and inpatient rehabilitation facilities, memory care facilities, and assisted living facilities (b) hospice and home health care agencies; and (c) outpatient rehabilitation clinics and other ancillary healthcare and related businesses. 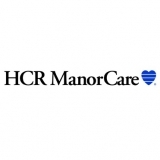 HCR ManorCare, Inc. commenced its bankruptcy case to effectuate a prepackaged plan of reorganization satisfying the claims of a major creditor and improving its go-forward operations by, among other things, reducing its operating leverage. Young Conaway was retained as co-counsel in HCR ManorCare, Inc.’s chapter 11 bankruptcy case with Sidley Austin LLP. Robert S. Brady, Robert F. Poppiti, Jr.